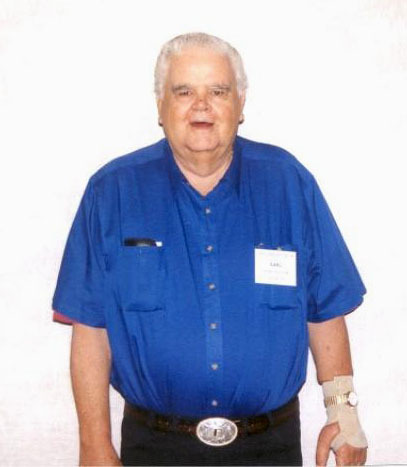 Salem - Earl Farrell Wilson passed away on October 30 at the age of 76. He was born February 2, 1940 in Merrill, Oregon to Harry Earl and Edith Florence (Kirkpatrick) Wilson. Farrell was raised in Malin, Oregon on the family farm and was an active member of 4H. Upon graduating from Malin High School, he served in the U.S. Navy. After being discharged from the Navy, he moved to Virginia where he worked for the CIA. While in Virginia he met Sue Wixom, whom he married in Farmington, Michigan in 1964. They lived in Virginia until moving to Salem in 1977. Farrell retired from the State of Oregon Department of Transportation as a computer software specialist in 2002. Farrell was a longtime member of the Elks and enjoyed spending time with family. Farrell was preceded in death by his parents Earl and Edith and sisters Roxanne and Kathleen. He is survived by wife Sue Wilson of Salem; sons Craig (Angela) Wilson of McLean, VA, Todd (Sierra) Wilson of Keizer, Rodd (Debbie) Wilson of Sherwood and daughter Melissa (Richard) Kessell of Jefferson; 10 grandchildren, 3 great-grandchildren and brother Harry (Jutta) Wilson. At his request, private services for the family will be held at a later date. He will be interred at Willamette National Cemetery. Those who wish to, may contribute to the American Kidney Association. Assisting the family is Virgil T. Golden Funeral Service.